29445 Scarborough Drive Warren, MI. | MLS# 218071718 | The premier resource for all real estate information and services in Metro Detroit. One of the best locations in the sub with a common area in front with spacious 2 BR. Wonderful move in ready condo offering a tidy eat in kitchen w/ceramic floors leading to a spacious living room with wood flooring. Huge bedrooms w/tons of closet space, nicely finished basement w/awesome entertainment area & plenty of additional storage, the list goes on! Newer furnace 2010 & a/c & windows are newer! This spacious unit also offers a large garage w/newer door & access to a private secured deck, perfect for entertaining. 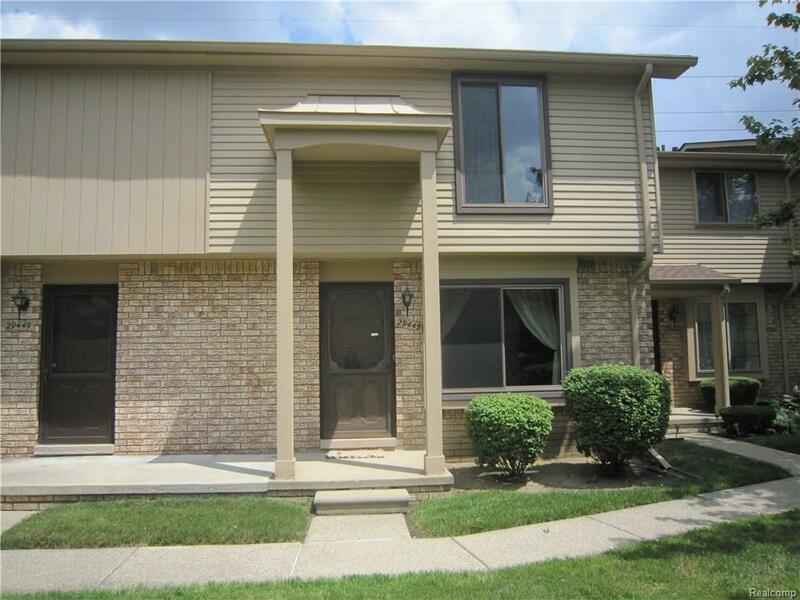 Ideally located in quiet park-like setting offering easy access to shopping, schools, colleges & I-696. A MUST SEE DONT MISS OUT! !ALL LISTING INFORMATION IS ESTIMATED, BUYER OR BUYER AGENT TO VERIFY ALL INFO PRIOR TO CLOSING.